Does Homecoming Set Up the Next Big Spider-Man Villain? Spider-Man: Homecoming is finally here! That means those of us who have already seen it can start looking forward to Spider-Man: Homecoming 2, which comes out in 2019. Michael Keaton kicked off this new era of Spider-Man as Vulture, but we are going to need a new villain in the sequel. So who should that be? Well, the post-credit scene in Spider-Man: Homecoming seems to set up at least one bad guy for Spidey to duke it out with in Spider-Man: Homecoming 2. Warning: spoilers ahead for Spider-Man: Homecoming. During the Staten Island Ferry scene in the movie, Vulture has a gang of guys on board to help him out. One such bad guy is Mac Gargan, played by Michael Mando (Better Call Saul). Spider-Man fans may recognize Mac Gargan as the criminal who eventually becomes Scorpion. Given the Scorpion tattoo on his neck, it seems fairly certain that seed has been planted. Cinema Blend spoke with Marvel Studios President Kevin Feige a bit about Mac Gargan's appearance, and Feige downplayed things a bit. Here's what he had to say about it. "We needed a character to be doing, for the Vulture to be doing business with on the Staten Island Ferry. And we thought it would be fun if he had a scorpion's head tattoo. But I wouldn't read into it much more than that." 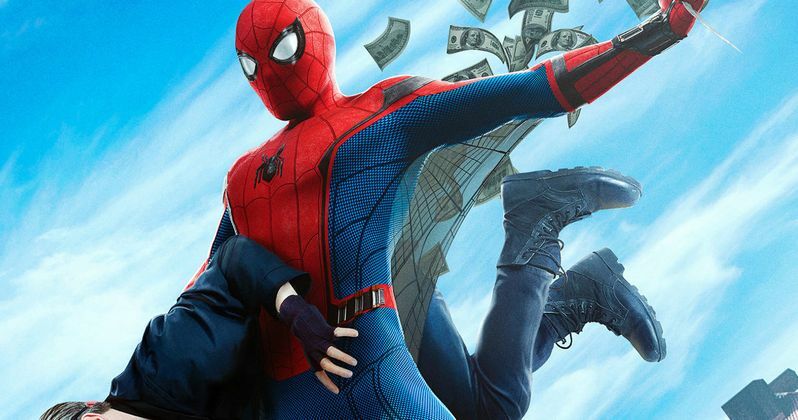 Kevin Feige probably doesn't want to say anything until some story details for the Spider-Man: Homecoming sequel are more fleshed out, so it's not surprising that he's not committing to saying Scorpion is going to appear. But the groundwork is there. In the post-credit scene, we see Adrian Toomes in jail speaking with Mac Gargan, who blames Spider-Man for his injuries. Gargan then mentions that there are some people he knows on the outside who would like to kill Peter Parker. Toomes knows that Parker is Spider-Man and Gargan wants that information, but he plays it off, since Spider-Man saved he and his daughter's life. This post-credit scene seemed to even more heavily tease Scorpion for a future Spider-Man movie. Cinema Blend also spoke with Spider-Man: Homecoming director Jon Watts about the villain and his possible appearance in the sequel. Here's what he had to say about it. "I haven't really planned anything beyond this movie. But it is nice to have that potential. There are so many things that could be a nice jumping off point for the next movie, and he's definitely one of them. Michael Mando's such a great actor, too. It'd be fun to explore." Kevin Feige has said that Marvel Studios wants to use villains that haven't appeared in other Spider-Man movies, so Scorpion certainly seems to fit in with that idea. Though, those who have read the comics or watched the 90s Spider-Man animated series might figure Scorpion is a tough villain to base a whole movie around. He is a little one note. Though, he could be a nice little side villain, like Shocker was in Homecoming, that could help build to a Sinister Six movie at some point down the line. There has also been rumors that Scorpion may appear in the Silver Sable and Black Cat movie that Sony is working on, so who knows? Either way, Mac Gargan is in the MCU now. Your move, Marvel.